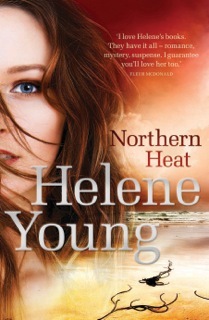 Today I super excited to be part of the pre-release blog tour of Helene Young’s new novel Northern Heat. As a long standing fan of Helene’s work, I was naturally over the moon when she invited me to be part of this tour, and am thus super excited to be able to host the following interview she conducted with her voice over guy (for the Northern Heat Book Trailer) Andrew MacRae. The following interview is extremely insightful, and informative and is sure to answer any questions you may have had in regards to voice over actors and the production of book trailers. So without further ado, I give you Helene Young and Andrew MacRae as they discuss the finer points of book trailers and what it takes to be a voice over guy. Andrew, what inspired you to become a voice actor? Thanks, Helene. I’m honoured to be here. 10 years ago, after a career spanning the length, breadth, and depths of the hospitality industry, I decided it was time for a change. With a young and growing family, I wanted a new endeavor that would allow me to spend more time at home. I remember driving one day, flicking around every radio station, searching for something I could put up with. However, every station seemed to be in a giant advertising block. So many commercials, so many voices… so much potential. The idea was further flamed by memories of growing up with my siblings, a sister and three brothers. We were, and still are, big fans of movies and TV and would often imitate characters and scenes. A phone call between any of us doesn’t begin with ‘Hello?’ but with a quote of some kind, usually followed by the corresponding quote reply. I researched the voice industry and started practicing anything I could. TV commercials, radio ads, psa’s, movie trailers… you name it. Everyone I spoke to assured me it was a tough nut to crack and that I wouldn’t see any real success for years… and they were right. I was lucky that two of my brothers were well established in advertising, being directors and copywriters for many years. This got me a foot in the door of my first paid gig and I haven’t looked back. It must be difficult to nail the effect the producer is looking for in an audition tape. How do you interpret the words? Do you do multiple reads, or need visuals to go with them, find clues in the words themselves? One of the skills I’m constantly developing is the ability to be handed a script and immediately identify the ‘hero’ words in it – those words that should stand out to take the read from good to great and to fully satisfy the intention of the script. Although there are many similarities to my process when I’m recording, each job is different in some way. Personally, it comes down to information and a few simple questions – What am I selling or what message am I imparting and to whom? The more information I have makes for an easier platform. Visuals or musical additions aren’t always relevant or necessary, but they can be helpful. I provide a few different interpretations for the director/producer/client to mull over before zeroing in on the desired outcome that, believe it or not, sometimes isn’t known 100% until it actually happens. At the end of the day, I’m there to get in the booth and do what is asked of me in terms of tone, speed and attitude. Having a voice is just a small part of being a voice artist. Being able to take direction and deliver what’s asked for is the real discipline. “The read is the first person thoughts/POV of the main male protagonist of the book. The job is not narration. But the voice is not overtly characterised. Natural speaking voice. “Just a bit of direction for the read. As much as you might not need to know, just thought I’d share a little more than necessary as part of the direction for the read. You are assuming the first person POV of Conor, the main protagonist of the book. Conor’s background: became inadvertently involved with extremely nasty (drug) criminals. He finally confessed his involvement to the police and as a result, his wife and daughter were gunned down in front of his eyes. He’s paid a massive price with his professional reputation and personal life. The book is his redemption story. A suspense piece, but there is a strong romantic element. Conor as an intelligent man, quietly determined. Scarred, tired, but there’s a bit of cautious optimism as well in him. A type of yearning and hope, although could mean more deep pain (“Love isn’t easy”) he still wants (and deserves) fulfilling love (“But it may be the only thing worth living for”). Conor has a weary happiness in this read… It’s as if Conor is sitting on the back deck of his yacht with his two close (and only) friends – they are the only two who know his harrowing history), whilst having a quiet drink. With the “could be?” at the end – Conor is hopeful but (again) he is cautiously optimistic … that certain type of hope. The “Love isn’t easy but it may be the only thing worth living for” is the over hanging tag line of the book. My client enjoys your tone and your delivery. The term Double Shot Espresso and Dark chocolate has been shared amongst us – that is exactly who the character was in their head. Even in the audition you 98% spot on for the final job. They liked how you almost got it … without really knowing the full “weary, happy, determined, hopeful, reminiscence” feel the read requires. How does the production side work? Do you have a studio you work from? A routine? What’s a working day sound like? Most of my work is done at my home studio, although there’s no substitute for being in state of the art studio with a sound engineer, director, producer and perhaps even the client. Today’s technology allows for more people to equip themselves with the tools of the trade than ever before. However, all the gear in the world doesn’t make for a successful voice artist career. My setup is quite simple – the room is soundproofed, the mics are excellent and the audio processing software provides everything I need for the editing stage. A working day is similar to any number of other professions. I check emails and messages, follow up with clients, record and edit auditions, work on current jobs and spend whatever time I have left in the working day on marketing, just as any other business owner must. Throw in a beautiful wife and three young daughters and my day is bursting at the seams. And I wouldn’t change a thing. You’ve worked on diverse projects. Has one stood out as being exceptionally satisfying? One you’re extra proud to be part of? I have a variety of favourites for a variety of reasons. Working with Jimmy Barnes on the Wild Turkey “Give ‘em The Bird” campaign was a highlight… it showed me that only a few words, written, directed and delivered correctly, can be powerful. In addition, walking into a random bar and hearing customers doing their version of your voice is a real rush. The role of Conor for the trailer on Northern Heat was special in that not only did my voice get described as espresso and dark chocolate, it was the first time I’ve seen my name in trailer-style credits! Then comes the bottom line, more lucrative jobs that are national spots like the current Lifejacket Awareness campaign. What advice do you have for someone thinking about pursuing a career as a voice actor? Keep at it. It’s not something that you can be successful at over night. Practice anything you hear or can get you hands on. Treat your voice as an instrument or a muscle group that an elite athlete prepares for competition. Do your research. Ask questions. Get answers. Listen to the demo reels of professionals to know what’s expected and then get one of your own made showing your own skills and plenty of variety. Then, 6 months later, laugh at that first demo that was pretty terrible and go for version 2. Have the mindset that even the top voice artists in the world are constantly looking to improve not only their vocal skills but also their business acumen. It’s all part of the big picture. Thanks for sharing an insight into your profession. Most importantly, thanks for bringing Conor to life! A pleasure, Helene. A here’s to more running in the rain with Conor! To celebrate the upcoming release of Helene’s sixth book on 27th May 2015, she’s giving away six prize packs. Four of them are duos of SAFE HARBOUR and NORTHERN HEAT and one major prize is a complete set of my six books. 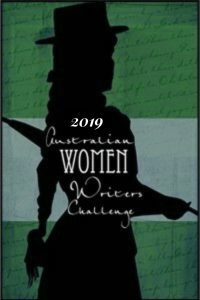 For international readers there is a duo of e-books to be won. To enter leave a comment here or share the post and/or the trailer on social media site and she’ll double your chances! A great project to work on. Andrew’s professionalism and experience spoke volumes! … and again to work with Helene Young again was an honour! Great trailer and a perfect voice to create more interest in the min character. Can’t wait to read this one! Thanks for stopping by Kathryn. It really is a great trailer isn’t it? The books fantastic and I highly recommend you find a copy later this week when it’s released. Thanks, Kathryn! I listened to the audition tapes with my eyes closed and when Andrew’s voice came on it was perfect 🙂 Thanks for stopping by to comment!